Home / News / Celebrate, Remember and Fight back: Register for Relay For Life! 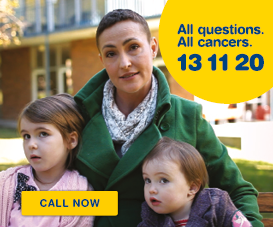 Queenslanders – it’s time to put your feet down, one after another, and walk towards a cancer free future. Cancer Council Queensland is officially launching Relay For Life for 2019 this week – encouraging regions to lace up and team up to give hope and fight back against cancer. Relay For Life is community fundraising challenge that encourages friends, families and colleagues to join forces and team up to raise funds in the lead up to their community’s event, where the team then keeps a baton moving in a relay-style walk or run around a track to signify that, “cancer never rests, so neither will we”. 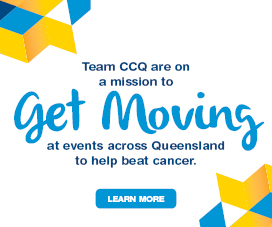 Cancer Council Queensland CEO Ms Chris McMillan challenged communities to rally together, register teams and give hope to the one in two Queenslanders who will be diagnosed with cancer in their lifetime. “Each year we come together at Relay For Life to prove that community spirit can make a tangible difference in the lives of Queenslanders affected by cancer,” Ms McMillan said. 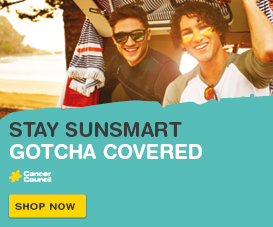 “We need your help to reach out to an estimated 27,800 Queenslanders who will be diagnosed with cancer in 2019 alone. “More Queenslanders are surviving cancer as a result of improvements in prevention, screening and treatment – and through continued support of Relay For Life we hope to change even more lives for the better. “Cancer Council Queensland, along with a dedicated army of volunteers, will host around 38 Relays between April and November. More than 800 people have already signed up and started fundraising for the 31 events already confirmed and open for registrations for Queensland in 2019. “Taking the first step towards a cancer free future is as easy as getting your friends, family, colleagues and neighbours together, registering a team in your local Relay For Life event and fundraising for the cause,” Ms McMillan said. In 2019, Cancer Council Queensland hopes to raise more than $1.8 million through Relay For Life for its work in cancer research, education programs and patient support services. To register for Relay For Life, volunteer, or find out more information, visit relayforlife.org.au or call 1300 65 65 85. Relay For Life first began in America in 1985 when colorectal surgeon Dr Gordy Klatt walked for 24 hours to raise funds for cancer research. Since then, Relay For Life has become one of the largest fundraising events for cancer in the world and is now held in every Australian state and territory. 2019 marks 19 years of Relay For Life in Queensland and 57 years of Cancer Council Queensland.